Can I Use a Baby Fabric Softener On My LO's Laundry? Home Baby Care Can I Use a Baby Fabric Softener On My LO’s Laundry? Caring for young children is never easy, and no matter what you do or how well prepared you think you are, it is always going to be stressful and confusing at times. As a parent of a newborn or young child, you probably have an endless list of questions about what products are and aren’t suitable for your child. Fabric softener is possibly one such product, and many parents are worried that using fabric softener in their child’s laundry could potentially be harmful or cause rashes or other skin issues. For this reason, I’ll now take a look at everything you need to know about baby fabric softener and whether or not it’s acceptable for children. Fabric Softener in Your Baby’s Laundry: Is it a Good Idea? A Baby Fabric Softener in Your Baby’s Laundry: Is it a Good Idea? It is fairly common knowledge that babies and younger children tend to have more sensitive skin. As any parent is most likely aware, younger kids are generally far more prone to skin issues and will often become upset or troublesome if you try to force them to wear clothes that are too rough or feel scratchy or itchy upon their skin. This is precisely why so many parents are interested in baby fabric softener, since the point of fabric softener is obviously to soften clothes and make them feel less rough. Unfortunately, the majority of fabric softener products tend to use somewhat harsh chemicals that could potentially irritate or inflame a young child’s skin. Chemicals, artificial dyes and coloring agents, and synthetic fragrances are all known to cause skin irritation, and this is the reason why parents of newborns should try to avoid them whenever possible. The good news is that there are no major risks associated with using fabric softener on your baby or younger children’s clothing. However, this doesn’t necessarily mean that you should always use fabric softener every time you wash your child’s clothes. The problem is that most fabric softeners have the potential to irritate your child’s sensitive skin. Although the fabric softener can definitely help to eliminate any issues associated with rough or itchy clothing, there is still no guarantee that the chemicals in the fabric softener won’t irritate the skin or potentially cause rashes and other skin issues. You can Also read: How to Remove Breast Milk Stains From Clothes? Of course, not all newborns, infants and young children have sensitive skin, and this is especially true the older the child gets. In this sense, you might be perfectly fine using a regular fabric softener if your child hasn’t shown any indication that they have overly sensitive skin. In fact, using fabric softener can actually be a huge benefit by ensuring that your child’s clothes are soft to the touch and thus won’t make them itchy or feel too rough against their skin. However, it is still a good idea to test this out first and to attempt to discern how sensitive your child’s skin is before loading the fabric softener into their laundry. 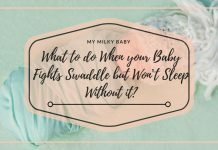 That being said, if you’re dealing with a newborn, it is usually better to err on the side of caution and either avoid fabric softener all-together or switch to a product designed for sensitive skin just to be safe. Although most fabric softeners are likely to irritate your young child’s sensitive skin, you can potentially avoid the problem by using a product designed for sensitive skin. For instance, I typically use Downy Free and Gentle liquid fabric conditioner, as it has been specially formulated for use on sensitive skin. The fact that this product does not contain any artificial fragrances or colors makes it a great choice for anyone with sensitive skin—most of all infants and newborns. This product has also been tested by dermatologists for use on sensitive skin and is proven to be fully hypoallergenic, which means you won’t have to worry about your newborn suffering any potential allergic reactions as a result. There are a wide number of different fabric softeners and conditioners that have been designed for use on sensitive skin, and using these products gives you a far better chance of protecting your baby’s sensitive skin compared to the many harsh chemical softeners on the market. Of course, there is still no guarantee that the Downy or any other sensitive-skin fabric softener won’t cause your baby issues. However, the fact that these products are usually free from harsh chemicals, dyes and fragrances still make them a far better choice for parents of newborns and young children. Alternatively, you could also opt to go the DIY route and make your own all-natural fabric softener if you’re still worried about the potential effects that it could have on your child’s skin. There are a wide range of fabric softeners designed for sensitive skin. Unfortunately, it seems that there really isn’t such a thing as an all-natural fabric softener. To reiterate, almost every fabric softener product currently on the market—even those specifically designed for sensitive skin—contains at least some chemical ingredients. For this reason, many parents of newborns and young children have turned to making their own all-natural DIY fabric softener in an effort to ensure their baby’s clothes stay soft while also avoiding chemicals. Luckily, making your own natural fabric softener couldn’t be easier. Among its many other uses, basic white vinegar has been shown to be an excellent fabric softener. In fact, vinegar is generally considered to be the best natural fabric softener there is. Adding a tablespoon or two of vinegar to the wash whenever you clean your baby’s clothes should ensure that the fabric remains smooth and soft to the touch. The only issue with using vinegar as a fabric softener is that it tends to make your clothes smell like vinegar. Nonetheless, you can easily overcome this issue by simply adding a few drops of your favorite essential oil to the vinegar prior to putting it in the wash. In fact, the best all-natural fabric softener is generally made by mixing one liter of distilled white vinegar with around 10 drops of essential oil. No matter whether you prefer the smell of lavender, rosemary, lemon or pine, the essential oil should help to eliminate the vinegar smell. In this way, you can ensure that your newborn’s clothes, blankets and bedding stay soft and also smell fantastic. All babies are different, and this means that what works for one child won’t necessarily work for another. However, at the end of the day, it is really up to you as to whether or not you choose to use fabric softener in your newborn’s laundry. That being said, if you are considering using baby fabric softener, it is important that you are aware of the fact that the chemicals in the softener could potentially cause even more irritation to your baby’s skin than those rough or itchy clothes would. For this reason, it is recommended that parents pay close attention to how sensitive their young child’s skin is, and if you do notice that your child has more sensitive skin, it is definitely a good idea to use a softener specifically designed for sensitive skin or to make your own all-natural softener. Otherwise, you might find your child starting to become much more of a problem than they need to be.